A hard rock doesn't inspire much in most people's imaginations, but for artist Hirotoshi Ito, it's the perfect canvas. Ito sculpted a series of surreal stone sculptures that playfully contrast the rocks' original shape with unexpected and humorous alterations. 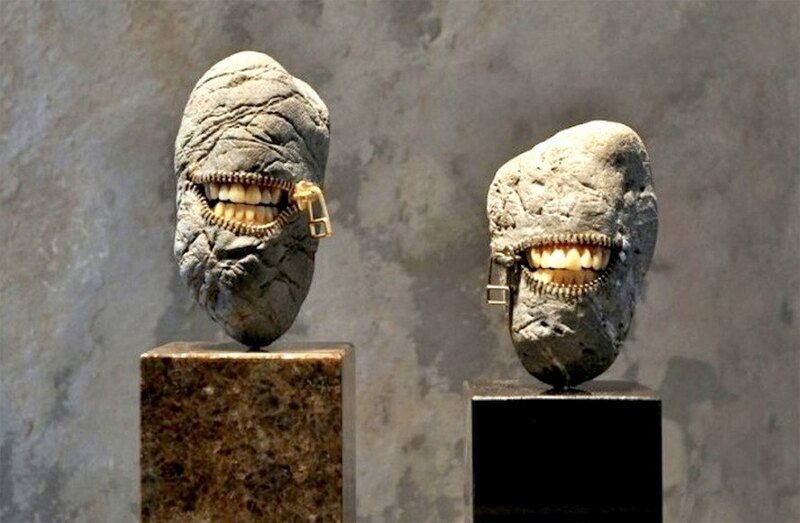 His incredible artworks warp our preconceptions, likening stones to soft loaves of bread or anthropomorphizing them with unnerving rows of teeth. A 1982 graduate from the Tokyo National Fine Arts University, Japanese artist Hirotoshi Ito first dabbled in metal working before returning to his family business as a stonemason. Rather than focus solely on traditional stonemasonry, Ito used his craft to create clever and unconventional works of art. The stones are collected from his walks along his neighborhood’s riverbed and then carved and combined with other materials to express a sense of warmth and humor. “Although I work with various kinds of stones, most of my work consists of optimizing a stone’s original shape…A smile on the beholder’s face is the main motivation for my work,” Ito writes on his website. Influenced by surrealists such as René Magritte and Salvador Dalí, Ito breathes new life into the rock’s rounded and hard shape with unexpected additions, the most common of which is the partially opened zipper that reveals surprising contents from a collection of foreign coins to rows of teeth. Ito works out of his studio in Nagano Province’s city of Matsumoto and his artworks can be purchased from his online gallery. This rock looks like its getting zipped up! A 1982 graduate from the Tokyo National Fine Arts University, Japanese artist Hirotoshi Ito first dabbled in metal working before returning to his family business as a stonemason. A rock is remade to look like a purse. Rather than focus solely on traditional stonemasonry, Ito used his craft to create clever and unconventional works of art. The stones are collected from his walks along his neighborhood's riverbed and then carved and combined with other materials to express a sense of warmth and humor. "Although I work with various kinds of stones, most of my work consists of optimizing a stone's original shape," writes Ito on his website. Ito was largely influenced by surrealists like René Magritte and Salvador Dalí. Ito challenges viewers to rethink the preconceptions of a rock's form and function. Ito breathes new life into the rock's rounded and hard shape with unexpected additions, the most common of which is the partially opened zipper that reveals surprising contents. Ito cleverly juxtaposes the hard rock with the suggested image of a soft loaf of bread. Ito's skill for stonemasonry partly comes from his experience in the family business of stone carving. 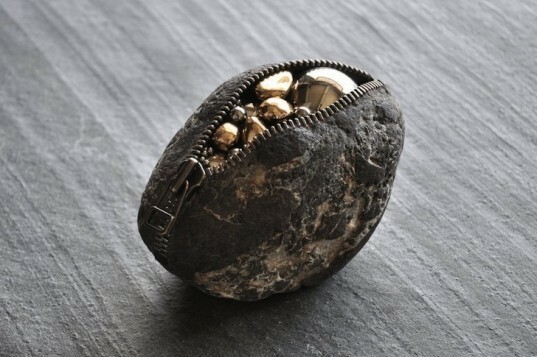 Ito creates a stone coin purse. Ito works out of his studio in Nagano Province's city of Matsumoto and his artworks can be purchased from his online gallery.